If you live in the Twin Cities and you frequent Farmers Markets during the summer months, chances are you’ve seen the food truck for ‘Chef Shack‘. I stop by whenever I see it, because their food is interesting and fantastic. 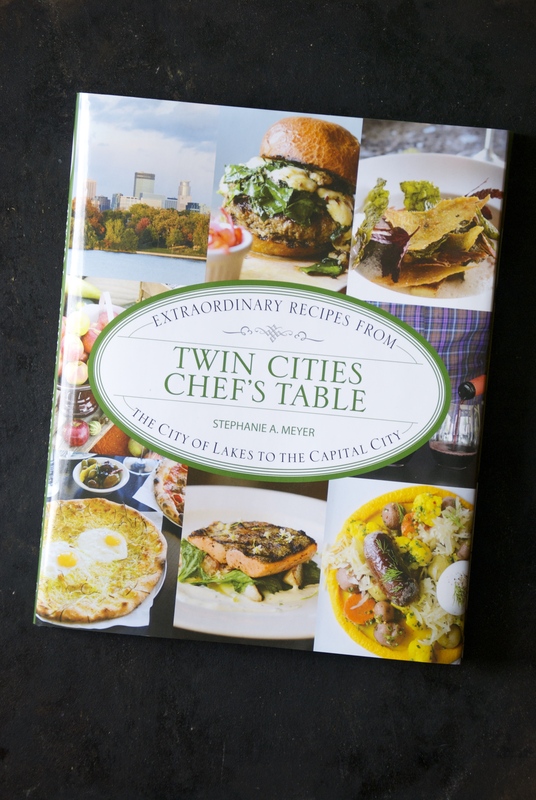 So, when my good friend, Stephanie Meyer, from Fresh Tart asked me to test a recipe from the Chef Shack for her new book, Twin Cities Chef’s Table— I jumped at the opportunity. And as it turned out, it was one of my favorite dishes from the truck. I love these tacos and I was thrilled that I would have early access to this incredible recipe. 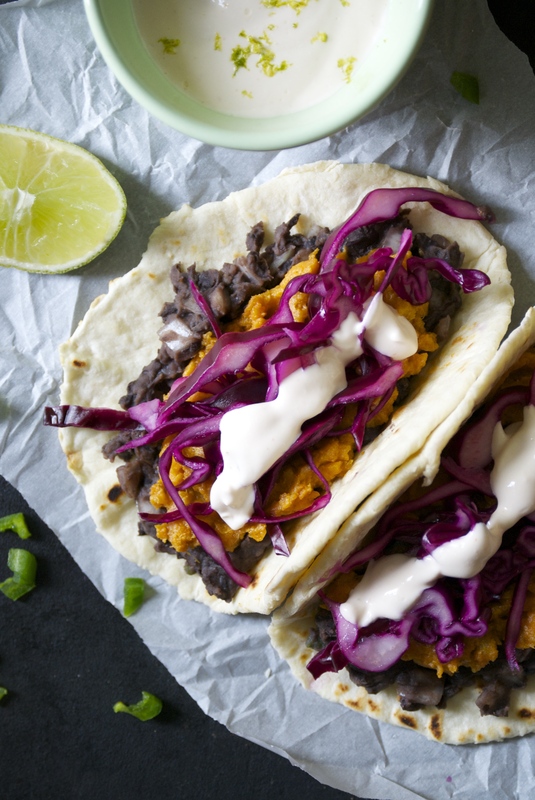 These tacos are a perfect alternative when you want to skip meat for a meal (or always). The sweet potatoes are creamy and have a subtle cumin flavor, while the black beans are studded with white onion, jalapeños, lime, and a bit more cumin. But, I think the absolute star of the dish is the quick pickled cabbage slaw. 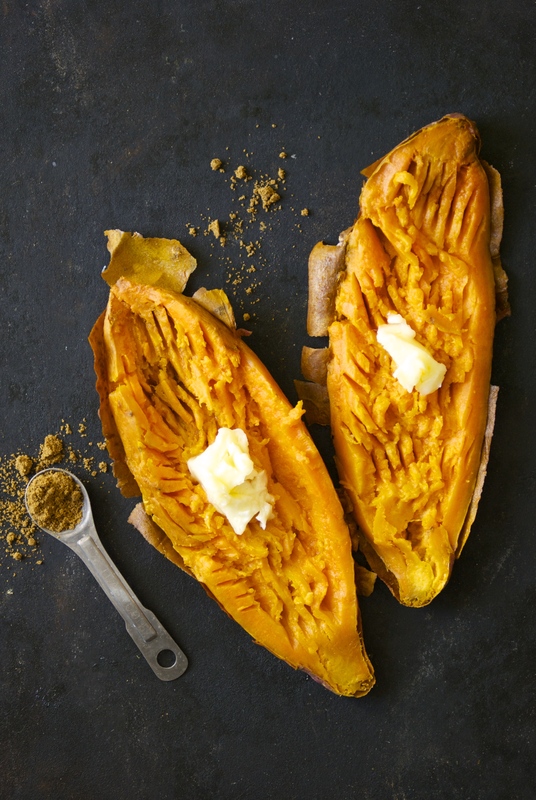 It adds the necessary crunch and the flavors of the apple cider brine (with red onion, ginger, garlic, peppercorns, star anise, coriander, mustard, and fennel seeds) marry beautifully with the sweet potato and black beans. The sour cream sauce is also brilliant. It’s simple. And I was honestly a bit surprised to find out that there was ketchup in it! It works fabulously, trust me. This is a perfect dish to serve to guests for a fun taco night. It’s completely affordable and is a great vegetarian option. It works well to make ahead and reheat. But, most of all– the flavors will please you so much. Not surprisingly these amazing tacos are just one of so many delicious recipes in Steph’s book. It features some of the best eateries, food trucks, local farms, breweries, and co-ops from Minneapolis /St. Paul and a recipe from each of them. I personally know many of these chefs– they are friends, they are neighbors. These are extremely talented men and woman who can do phenomenal things with locally-sourced, high-quality ingredients. This book is inspirational and will make you want to eat better. Not to mention it is brilliantly written. Steph has poured her heart into this project and her dedication and care really show. I am so proud of the current Twin Cities food scene and I am so proud of her for capturing it beautifully. We have so much to offer here in Minnesota, and it’s nice to be able to point to a cookbook that proves this. So, whether you are from here and would like to be able to make some of your favorite foods from your favorite places at home, or if you just want to have a little taste of our Minnesotan life– this book is one you must have. 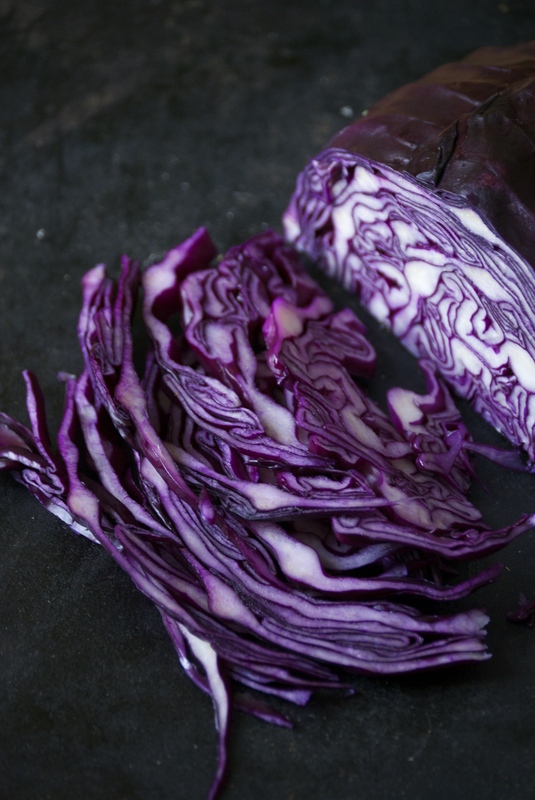 Put cabbage in a colander and rinse with cold water. Set aside to drain. 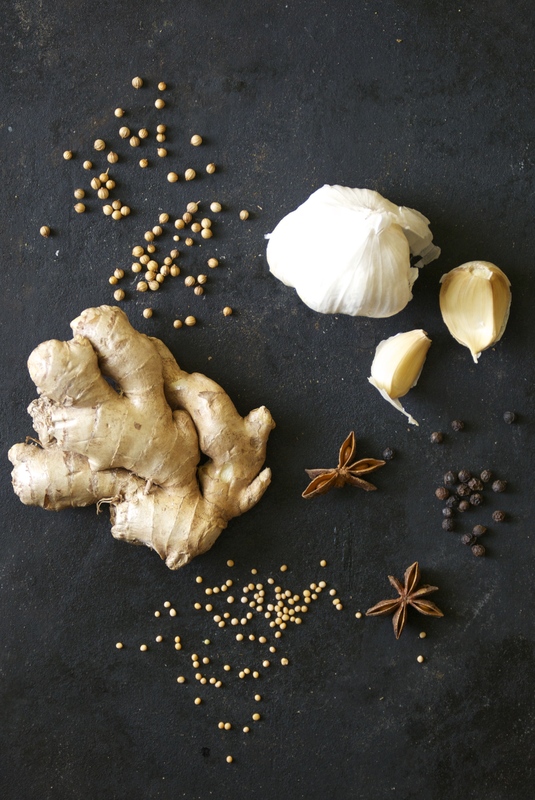 In a large saucepan, combine vinegar, sugar, water, spices, garlic, ginger, and red onion to make the pickle brine. Set over medium-high heat and bring to a boil. Transfer cabbage to a large bowl and pour hot pickle brine over the cabbage. Cover and set in refrigerator to chill. While the potatoes roast, place beans and their liquid in a large, heavy-bottomed saucepan. 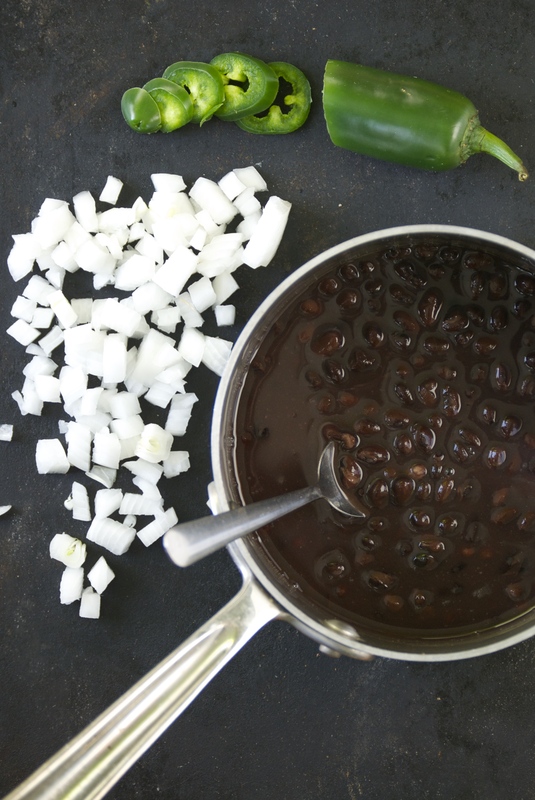 Set over medium-high heat and bring to a boil, then reduce heat to low and simmer beans, uncovered until very tender and the liquid is absorbed, about 25 minutes. Add onion, jalapeño, hot sauce, and remaining 1/2 teaspoon cumin and mash together with a fork. Season to taste with salt and pepper. Keep warm. In a medium bowl, stir together sour cream, mayonnaise, ketchup, lime juice, and salt, pepper, and a dash of hot sauce to taste. 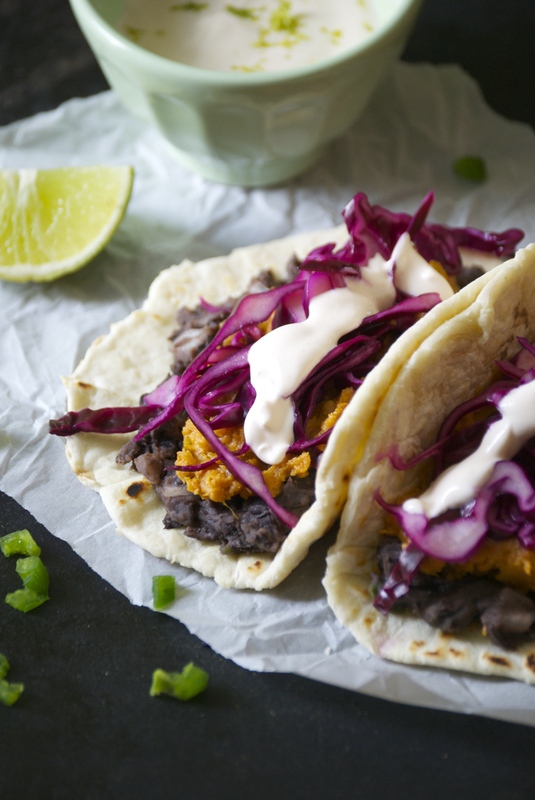 To assemble and serve the tacos: warm tortillas and top with a spoonful of black beans, a spoonful of sweet potatoes, a bit of cabbage and a drizzle of the sour cream sauce. Enjoy!